There is no one who knows better than Anita Mäkelä that past performance is no guarantee for future results. 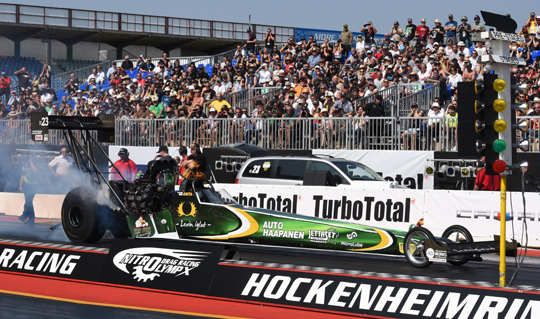 After claiming her second FIA European Top Fuel title in 2016, the 2017 season was filled with early exits, mechanical problems and the number five spot in the championship. But in 2018 the Finnish fan favourite and her team bounced back in an extremely dominant way by claiming the title with three race wins, one runner-up spot, two semi-final finishes and a 131-point advantage in the final points standing. Resetting the European ET record in the penultimate and final race of the season added the icing on the cake for the champion. 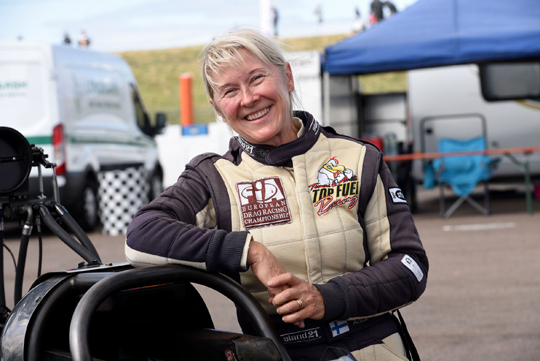 With the number 23 on the car, Anita Mäkelä and her Finnish team had one major goal for the 2018 season: to get that #1 back. The season started with a runner-up spot at The Main Event, followed by a great win at Tierp in June. With a semi-final finish caused by some mechanical problems, the home race at Alastaro was once again not the luckiest race of the season for Mäkelä. The second half of the season started with another semi-final finish at Hockenheim, but from that moment on Mäkelä was unbeatable. 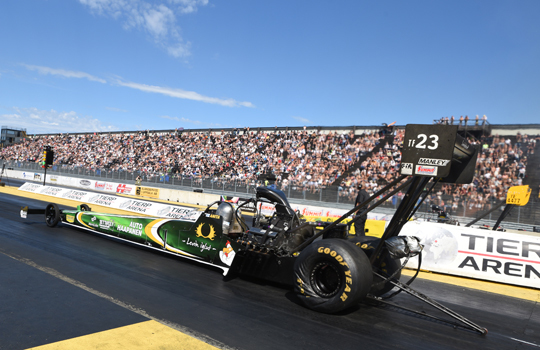 The Summit Racing Equipment Internationals at Tierp was another win for the Finnish team, with a new European ET record of 3.877 seconds in the final as a highlight. 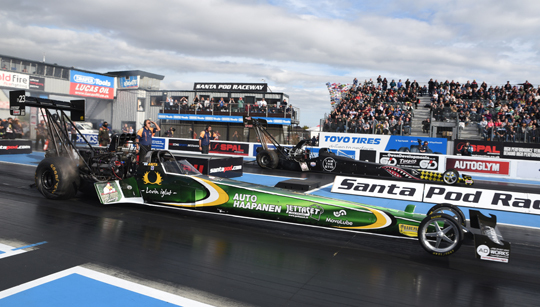 In qualifying for the European Finals Mäkelä clinched her second FIA European Top Fuel title out of the last three season. 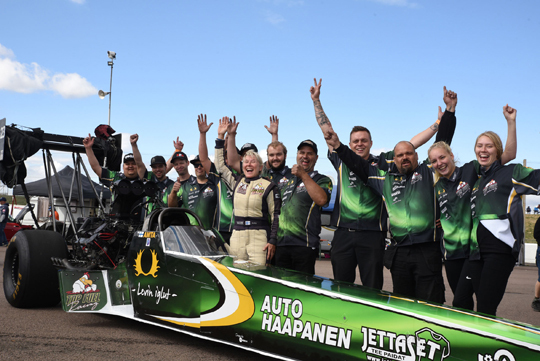 But Mäkelä and her crew wanted to finish the season in style and did that in the best possible way by racing to victory number three of the season and resetting the European ET record to 3.870 seconds! You are as good as your team is and our team is strong. Winning three races gives really nice memories. Winning races means hard work. But overall, we had such a good atmosphere in our team, so we were really enjoying ourselves at the races. The first Tierp race gave us a nice lead in the points standing. It is a nice feeling to go to races in the points lead. That makes me smile! In Saturday qualifying at the Tierp race in August we lost everything, from the oil pan up to the injector. Over the night, the car was ready for new European records and to win the race. I was so proud of my team! I don´t like to run in the dark and this year it happened quite a few times that I was heading into the darkness with full throttle. And when you see there is nothing left of your engine, it sure kills some joy, even when you run fast. Those are tough moments. There are no B-category Top Fuelers anymore, so each car can run fast. I don´t pay so much attention to who is in the opposite lane. My thought is: you have to beat them all if you want to win. That´s my repeating line after waking up on Sundays. The track crews. The track prep crews did an excellent job and the tracks were good to run. And I want to thank Keith Bartlett for working for our sport. Keith and his crew do an excellent job for publicity. To keep the number One on our car. 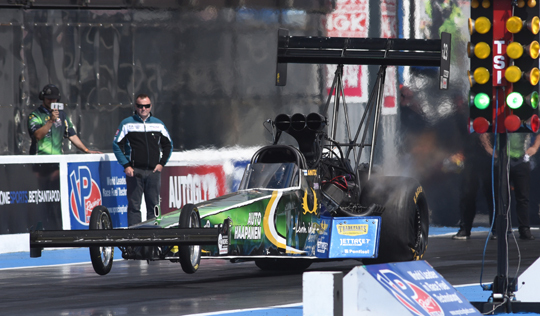 To cut some expenses, just wondering if some of the races could be two day events for Top Fuel. Three qualifying runs on one day and eliminations on the second day. To cut one day and one qualifying round save some money.